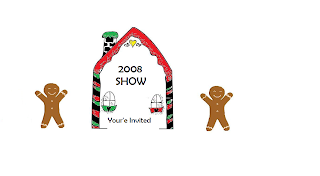 Check out the whole list of vendors for this weekend and print your coupon for show at http://www.msgingerbreadhouse.com/ Don't forget to come by and see me at the Gingerbread House located at the Ag Museum in Jackson, MS...Starts at 4pm-8pm Friday and opens Sat. 9am-4pm. Last Chance for the last minute Chirstmas presents. I appreciate the understanding of ALL my customers and Want to say a big Thank You for all of your support. Jeff and I really thank you. I really enjoy this business... And I hope that I can continue to keep doing this and spreading God's messages through our work. I love to hear all of you say that these signs or shadowboxes remind you of HIM. SO I plan to keep it up... Just a note on Customer Orders...all of them will be out of my house by the Dec. 20th! My children get out of school on the soon for Christmas and I plan to be at home with them until the beginning of the year! I hope all of you guys enjoy your Christmas Season! Merry Christmas and Happy New Year! I ordered 2 of your name boards for my family for Christmas and they LOVED them! I also have the priviledge of having my own (Hadley) board hanging in my kitchen (thanks to Mary Peyton) and I LOVE it!!!!! You did a great job on those and I just wanted to say thanks!